View from my kitchen window! It feels like I’m looking over Holland Village! The building next door – look how similar the flora is! The Singapore I grew up in, in the 1980s and 1990s is not the glamorous place that it is today. When you get beyond Singapore’s shiny exterior, beyond the international jet-set crowd and delve deeper into Singapore’s heartland and residential areas, that is when you will start to see what I mean. Apart from the obvious similarities in flora and the climate, what most struck me, was the similarities in architecture. I am not talking about Oscar Niemeyer great creations, but rather the everyday apartment buildings and the day to day life. In this respect I believe that Brasilia and Singapore have quite a lot in common. 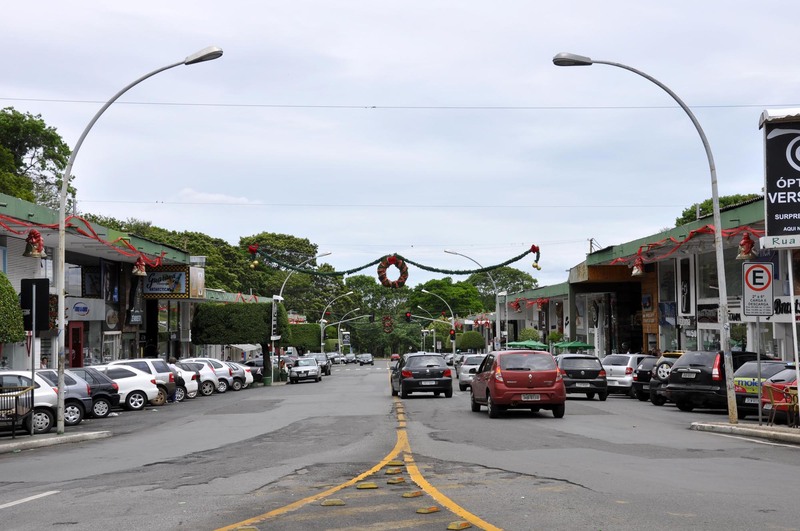 Especially when you take into consideration that both cities where very much built in the 1950s and 1960s, and both cities shared this idea of communal space and living. 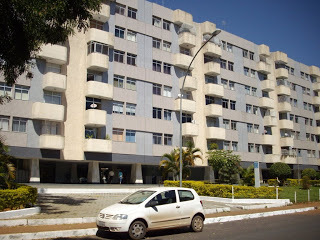 The apartment buildings in Brasilia are predominantly spanning from south to north of the city (if you look at the very simplified map of Brasilia, they would be located on the ‘wings’). Each building is designed so that the first floor is an open communal space where the inhabitants of the building can spend time. Apparently, all the ‘old’ buildings in Brasilia (those originally built) did not have balconies and this was an intentional design. The idea behind this, was so that the people would be encouraged not to spend too much time in their own homes, but rather go downstairs, and spend time in the communal areas and parks. Furthermore each group of buildings are collected in a block, and each block has a designated commercial area. 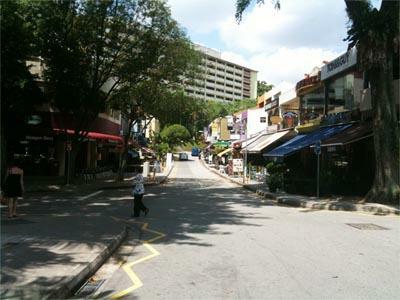 In this commercial area there are shops, restaurants, convenient stores, bakeries, schools and clinics. There is everything that a person would need in life. I believe that the reason why these blocks are self contained is to create a form of community. Something that you have to keep in mind is that there was ABSOLUTELY NOTHING in Brasilia before it was built, there was no community to speak of, so it had to be created. Space – after all, Singapore is but the size of a full stop on the world map! Unlike Brasilia, there were people living in Singapore before the 60s, but there was no such thing as being ‘Singaporean’. The population at the time was made up of various labourers, coolies and groups of people arriving to Singapore in search of a better life. However all of these groups of people maintained strong ties with their homeland, sending money home, keeping up their traditions, praying to their god(s) and living together in their own ethnically divided communities. So how do you unite all these people and create a common goal? Well, one way (out of many) is to manipulate living space! 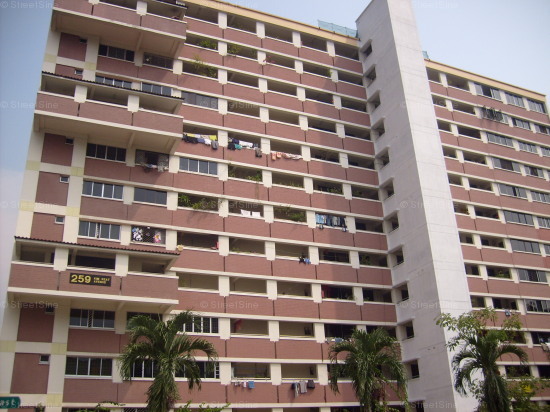 In very simplistic terms, in the 1960s Singapore created the Housing Development Board which built high-rise flats which came to be called HDBs. They uprooted (and demolished) all the various villages or Kampongs as they are called, and housed the inhabitants in various HDB buildings around the island. This freed up quite a bit of space for the government to develop the land, overcoming one of Lee Kuan Yew’s earlier hurdles. Now it was time to focus on the other hurdle, creating a community. 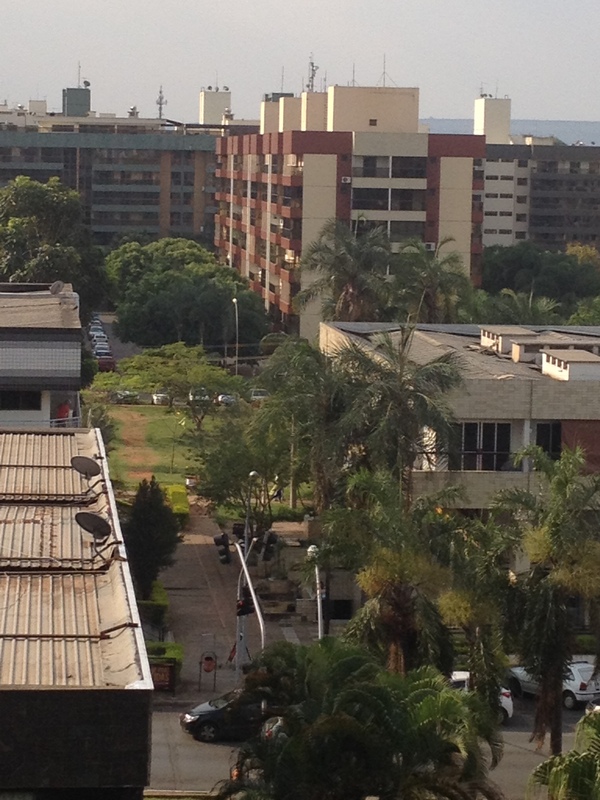 These high rise flats are located in housing estates, which are designed to be self-contained satellite towns, with schools, supermarkets, clinics and eateries…is this ringing any bells!!? Like the flats in Brasilia, the HDBs have a communal space on the first floor, designed to encourage people out of their home, out of their ethnic group and into these spaces, giving them an opportunity to get to know their neighbours and create a sense of community! I could go on for hours and hours about community building and how the notion of being ‘Singaporean’ was constructed (I actually wrote my master thesis on this topic), or the fascinating way the Singaporean government used access to air-conditioning as a community building strategy – but this is not the forum! 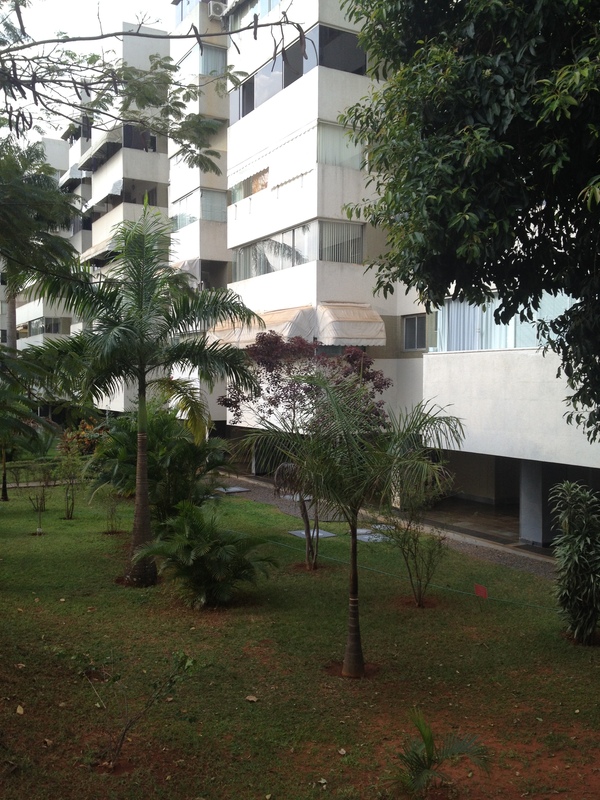 I believe that it is precisely for these reasons, that I am feeling so at home and comfortable here in Brasilia. I can understand what Brasilia is doing and where it is coming from. The difference is, is that Singapore has grown leaps and bounds in the last 20 years by constantly reinventing itself and changing with time, whereas Brasilia seems to have been left behind. Unless you work for the Brazilian government there does not seem to be much incentive to live here. Very interesting and surprising article! You are SO right. 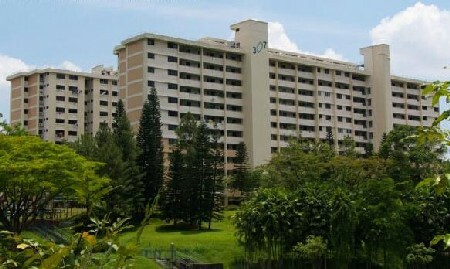 It does look like Singapore.